Plans to discuss the creation of an R18+ videogame rating in Australia have been postponed once again and now aren't scheduled to begin until November. Australia's pained limp toward an R18+ videogame rating has been absolutely fascinating to watch. For years, the country simply pretended that nobody old enough to drive would have any interest in videogames whatsoever and denied entry to material that the rest of the world took for granted. 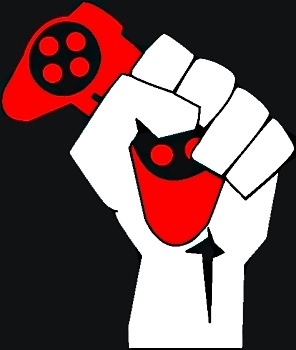 When the government finally took the radical step of asking the populace what it wanted, and was told on no uncertain terms by tens of thousands of people that what they want are videogames, it declared that the much-ballyhooed consultation process was flawed or imbalanced or otherwise out of whack, and that further analysis and "expert views" would be required before any decisions could be made. That was in May; the next meeting of the Standing Committee of Attorneys-General, which is responsible for creating "uniform and model laws to reduce jurisdictional difference and create national systems" (which includes updates to the National Classification Scheme) was scheduled to take place in July, when presumably some meaningful action on the matter would finally be taken. However, it is not to be: Because of the recent General Election, the July meeting has been pushed back to November. The good news for Australian gamers is that an R18+ rating is all but inevitable at this point. The public wants it and evidence that it will bring about the collapse of Australian civilization is non-existent. Even a former opponent of an adult videogame rating, former Queensland Premier Peter Beattie, said it's time for the country to "grow up." The bad news is that the Australian political machine has shown a remarkable aptitude for dicking around. Maybe 2011 will be your year, Aussies. The next SCAG meeting is now scheduled to take place on November 4 and 5.